Come in and discover your go-to jewel for holiday sparkle & everyday elegance. Enjoy 15% off your purchase (and free shipping) with your superhero code (SHJ15) at checkout. Let go of limiting beliefs? Embrace and live from your highest potential? 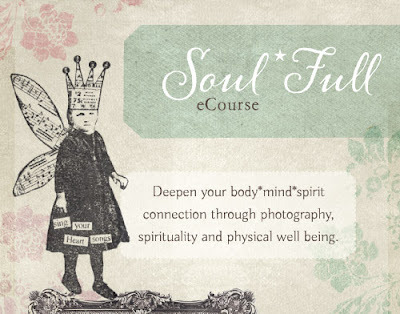 If so, join photographer Catherine Just in this Soul*FulleCourse designed just for women. Therewill be inspiring video and audio interviews with Catherine’s favorite life leaders: Miguel Ruiz, Douglas Beasley, Andrea Scher, Beth Nicholls, Sheri Rosenthal, Mee Tracey, Aline Smithson and Susannah Conway. We will dive into photography to help you re-learn how to “see” and writing exercises to move more toward gratitude. There will be opportunities to expand your spiritual experience through fun rituals that can help you learn to let go and trust. Mix all that with some healthy recipes, pampering, rest and rejuvenation and you’ve got the ingredients for a more Soul*Filled Life! Join us! Don’t miss your chance this New Year starting January 16th. Take 20% off all orders placed by Thanksgiving 2011! Do you have great ideas but lose focus when your excitement fades? Do you wander from the fridge to Facebook to your to-do list without getting much done? Do you ever feel like a flake? Shiny Object School can help you with this. My approach is one part delving deep, one part fairy dust and one part inspired action. I will not bootcamp you into focused submission. Instead, I’ll show you a practical method to get anything done on your own terms. It really works. Working with me is better than Valium. I am a non-linear/ADHD-to-the-max life coach who gets things done. Even if you love shiny objects, it is completely possible to get your projects born + into the world AND you can have fun doing it! True story. Superhero special: Sign up for Shiny Object School with daily email support and get a free Shiny Object coaching session. We’ll hone in on the best project for you, get you some super sonic clarity and give you a foundation for swift and easy action.